The jean jacket arrived on the scene in the late 1800s, and it’s been an instant hit ever since. No true wardrobe is complete without at least one jean jacket to mix in. They give an instant dash of cool to any outfit, they go with pretty much anything, and they’re so comfortable it should be a crime. A surprising facet of this style icon is that it was originally designed for working people who needed a tough, no-nonsense material in their work clothes. A German-American retailer named Levi Strauss popularized denim in the late 1800s, creating a fabric that helped to clothe and support America’s workers as they went to work industrializing the country. It’s fair to say that America wouldn’t be the country it is without jeans! From its origins as a hardworking utility garment of cowboys, miners and railroad workers, denim made its way into fashion popularity in the 60’s. You can’t think about Woodstock without jeans, after all! From there, denim’s reach has increased across the world, and today you can find blue jeans in every country in the world for the same reasons it got popular in the first place: denim looks great and lasts a long time. These days, we love a traditional light wash denim jacket. The light wash gives it that “lived in” look, and the light color looks fresh and clean as we transition into cooler temperatures. Fall is the perfect time of year for a denim jacket; it helps bridge the gap between summer weather and cooler fall temperatures, and it looks great worn around the waist if you get too hot. Paired with a sweater and scarf, a jean jacket can carry you into the cold temperatures in style. Denim jackets go well with pretty any outfit, and we love adding bright pops of color in the form of scarves and accessories to dress it up and add a little warmth. 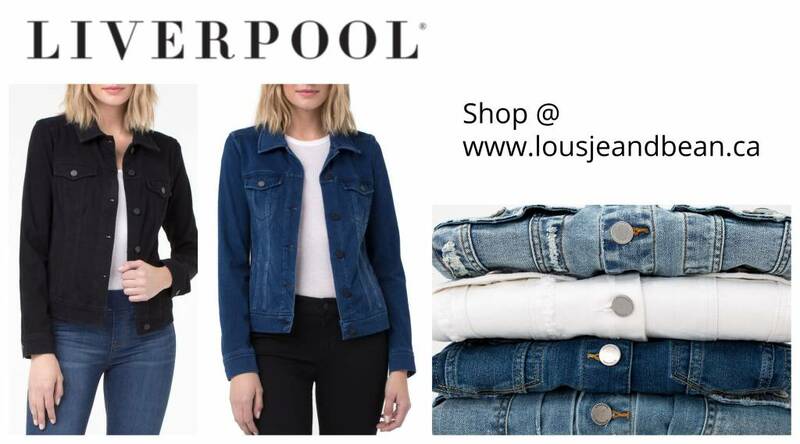 If you’re looking to add some denim into your life, swing by the store to check out our current obsession: Liverpool Denim Jean Jackets. Chic, comfortable and perfect for fall, we can’t get enough of them! Will you be selling your denim jackets at the OOAK show Toronto 2018?